The Alcazaba, with its 1430 m. walled perimeter is Spain’s second largest Muslim construction, after the Alhambra Palace in Granada. It was built at the behest of Abderrahman III in the tenth century after the founding of the city. It is a stronghold which housed three campuses; the first two Muslims and one Christian, last built after the conquest of the city by the Catholic Monarchs, which occurred in 1489. 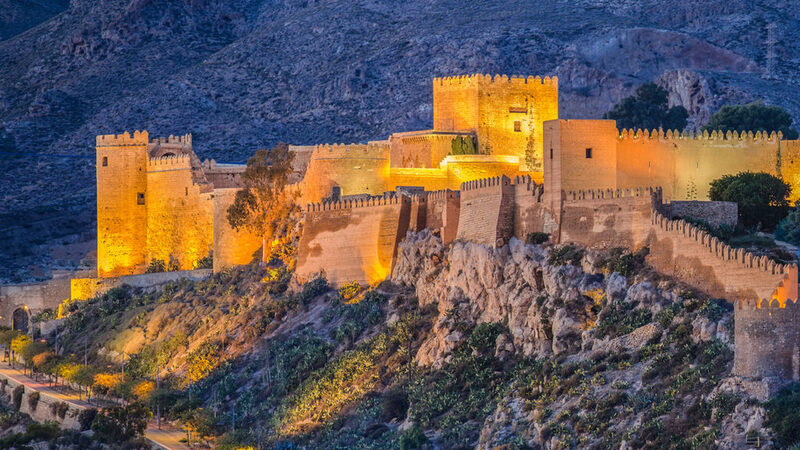 The fortress is situated on a hill, overlooking the old centre of the city, the medina. In it we find a first enclosure where there is a large garden and ponds constructed during the Muslim period. 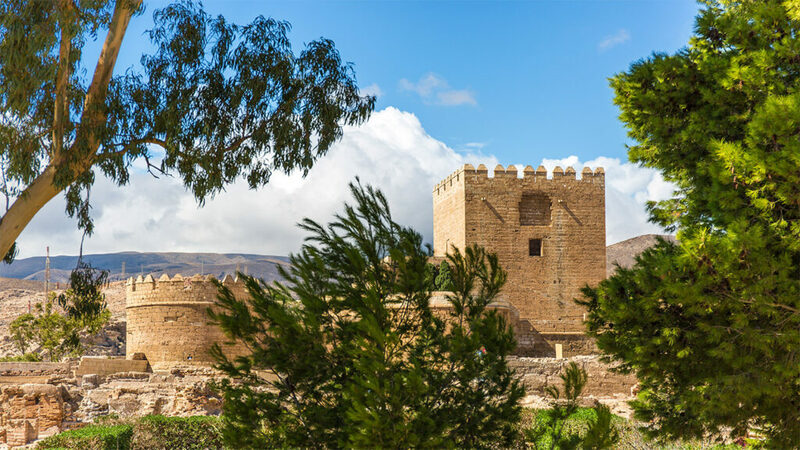 The second area, the vast palatial residence of King Almotacín, stood during eleventh century. This consisted of a public area, where today are the caliphate wells of the tenth century, a Christian arch of the 16th century. 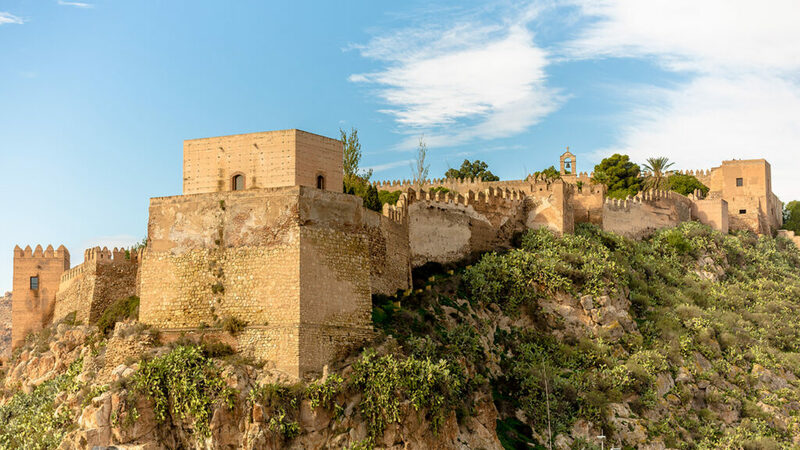 Located in the residence of the first Christian governor of the city are two rebuilt houses, the Mudejar hermitage of San Juan, and a bathhouse rebuilt, amongst other buildings. In addition, the Government House or Palace reception area was located in the middle. At the top was the private area of the palace of King Almotacín. From this palace only remnants of private bathrooms and the only wall were left standing and which have been preserved, called “Mirador or Window of the Odalisque.” This contains a curious legend concerning the love affair between a Christian prisoner captive and favored slave of the king. Finally, is the last enclosure of the fortress, Christian, and ordered to be built by the Catholic Monarchs, after the taking of the city. It is a Christian castle within the Muslim fortification. It is situated in a large courtyard, with three towers features: Keep, the Noria used for raising water and the Gunpowder store. Address: C/Almanzor s/n. 04002 Almería.